“I drink it when I’m happy, and when I’m sad. I trifle with it if I’m not hungry, and I drink it when I am. Lilly Bollinger was a revered Champagne maker and an astute businesswoman, but she was more. She was the perfect customer too. Unfortunately for Champagne, the rest of the drinking public is more promiscuous. And they have to pay! The recession, allied to the growth of discount stores and the rise and rise of cheaper bubbles from Prosecco to Cava to New World sparklers, has put pressure on Champagne makers to lower prices, particularly if they want to attract cash-strapped, penny-conscious Millennials. But how can you maintain status as a premium product if you start to compete with less prestigious brands on price? Fact is, you can’t. So the big challenge for Champagne brands is to justify their premium price and explain why they are worth it – why still, in the 21st Century, no celebration, large or small, social or solitary, is quite the same without the real thing. Some champagne brands are now addressing this challenge with conviction. Lilly Bollinger might have drunk her Champagne whenever she was hungry but the way to a consumer’s heart is never through their stomach. It is through heart and mind. That’s why the most vital attribute a Champagne house owns is its story, and the most important challenge how to tell and reinterpret it. When you live and breathe a brand as brand owner, it is easy to assume consumers share your story. Is there a family history? Or legendary figures who brought individual brands to the prominence they now enjoy. And then the story of Champagne itself, and the innovations by the monk Dom Pérignon which made those beloved bubbles possible. Consumers may not know these stories. But even if they do, like all great stories they can be retold in different ways. If there were ever any doubt about the selling power of stories, it was laid to rest by the Significant Objects project devised by Rob Walker and Joshua Glenn. Thrift-store objects were auctioned off on eBay with their value enhanced by writers’ narratives instead of the usual descriptions. There was no attempt to hoax the purchaser: the contributing writers’ bylines were included. Yet such is the force of a good story that US$128.74 worth of thrift-store junk sold for US$3,612.50. There are many ways to tell a story to educate, entertain and engage. Secondary packaging can do this, as can innovative selling. 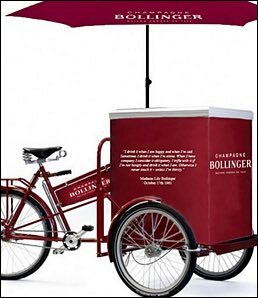 When Bollinger sponsored the 2015 Oxford-Cambridge Boat Race, they sold glasses of fizz from a ‘Bolly bike’ complete with fridge in the brand’s signature crimson and with Madame Bollinger’s wonderful words painted on the side. Each brand uses its own language to talk to consumers in the way it thinks will most engage them – and it’s vital to get that message pitch-perfect. 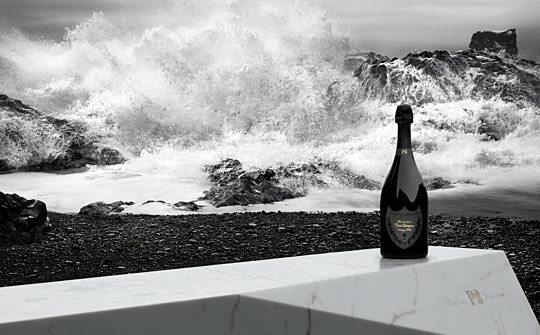 The striking advertising for Dom Pérignon Plenitude Deuxième 1998 was filmed at Eyjafjallajökull volcano in Iceland, which achieved notoriety when it erupted in 2010. The brand is associating itself with the energy and intensity of a live volcano, as well as claiming exclusivity by association with a location you have to fly into by helicopter. And the images are stunning. All of this adds to the story, increasing the allure of the brand. The need to engage younger drinkers opens the opportunity to make use of new media. Millennials are keen to get involved with brands – and interactivity works both ways. Instead of simply telling a story, clever brands make that story available for young people to discover, and re-tell, – thus promoting the brand in the best way possible, through the voice of the enthusiastic consumer. With this generation, the preferred medium is photography, which is why Moët & Chandon created its Ice Challenge photo contest last summer to help launch their Ice Imperial brand inviting consumers to share snaps on Instagram that captured the spirit of the season. Each month’s winning #icechallenge contributor won a ‘Moët experience’ dinner for two. There are as many ways to tell a story as there are consumers to listen – or look. Veuve Clicquot tells the story of the legendary Madame Barbe-Nicole Clicquot. She managed the house from 1805 to 1866, and was an enthusiastic letter writer. 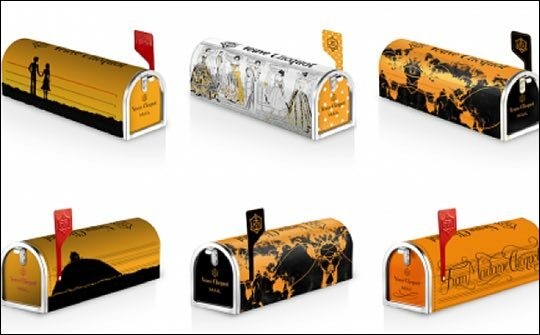 So the company brand joined with Wallpaper magazine to invite consumers and readers to redesign the graphics on the Clicquot Mailbox, which houses, naturally, a bottle of the brand’s Champagne. Entrants to these Re-Creation Awards were judged by country, with one winner from each determined by public vote and another by a national jury of influential personalities in the world of design. These are all individual champagne brands positively justifying their premium. They set an example to all champagnes challenged by cheaper offers. It’s good to remember, people drink the brand, not just the product.